By 1891 Matisse had moved to Paris and was enrolled at the Académie Julian. Although his art training was traditional, within a few years he had begun to develop a reputation as a rebel. His exposure to the works of French impressionists and post-impressionists, to the colors of Vincent van Gogh and Paul Gauguin, to the structure of Paul Cézanne and Auguste Rodin, and to the lines of Japanese prints pushed his style in new and increasingly modern directions. Matisse’s daring new style was greeted by mixed reviews. Following his unsuccessful first solo show in 1904, his wildly colorful painting Woman with a Hat, which appeared at the 1905 Salon d’Automne group exhibition, met with derision from Parisian art critics, and Matisse and other artists associated with this exhibition were labeled fauves (wild animals). In spite of this critical reception, Matisse soon found a home within the cultured circle surrounding Leo Stein and his family, and it was through their regular artistic gatherings that he met his lifelong friend and rival, Pablo Picasso, in addition to collectors like the Cone sisters and Dr. Albert Barnes. Over the next five decades, Matisse enjoyed a productive and celebrated career, and while his style underwent various transformations over time, his dedicated use of a flat plane, bold colors, and fluid line served as inspiration to his contemporaries and to the generations of artists that have followed. 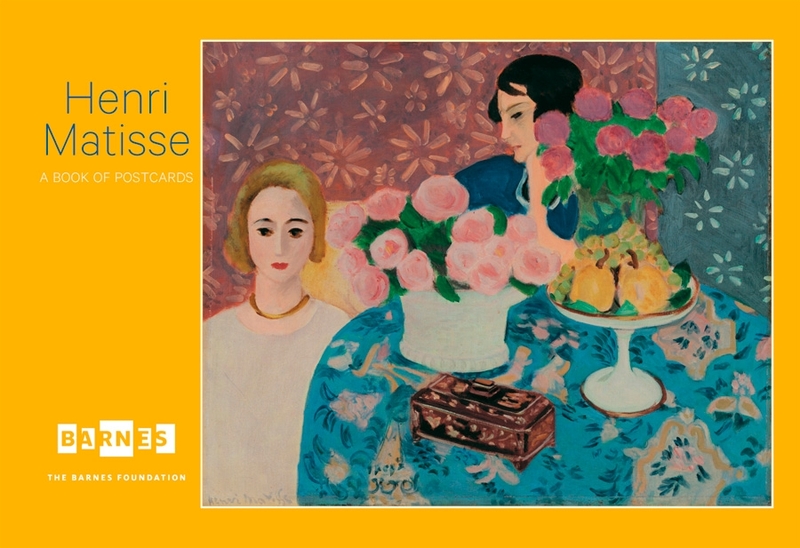 The depth and breadth of Matisse’s career are evident in the fifty-nine works by the artist that can be found in the Barnes Foundation Collection in Philadelphia, thirty-two of which are reproduced in this book of thirty oversized postcards.